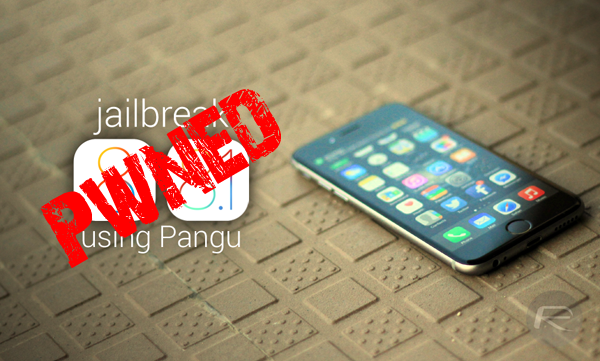 Apple rolled out iOS 8.1.1 beta a couple of days back, and along with the usual assortment of bug fixes and minor tweaks, the main alteration, at least as far as the jailbreak community is concerned, is the fact that it plugs exploits that have permitted Pangu8 to work its magic. Thus, when iOS 8.1.1 is deemed ready for prime time and Apple stops signing iOS 8.1, you will only then be able to update to iOS 8.1.1, which will in turn mean losing any immediate opportunity to jailbreak. Sure, if you’re on iOS 8.0 or any other current flavor of Apple’s latest software, you’ll still be able to jailbreak by means of Pangu, but with iOS 8.1 being quite a heavy update so early on in the new OS’s life cycle, it makes sense to be running it as opposed to an earlier version. Apple will release iOS 8.1.1 soon, Update to 8.1 now, while its still being signed. The update will patch the jailbreak!! There you have it, if you were holding back from jalbreaking thinking that the party wasn’t stable enough, then there’s no better green light than that given by Saurik himself. Those behind the past few jailbreaks have continually advised users to restore in iTunes rather than applying an OTA, which can throw up issues of its own during the jailbreak process, so if you are updating to iOS 8.1 for the purpose of using Pangu, then be sure to connect your device to your computer and take the old-fashioned route. Once you’ve installed iOS 8.1 and everything is running smoothly, there’s actually no real urgency from there on in. Provided you don’t update at any point, you’ll be able to jailbreak with Pangu8 at any moment between now and the end of time, but if you do wish to install Cydia and unlock the cauldron of tweaks, themes and apps therein, we’ve got the step-by-step tutorials outlined below. I’m sticking with my ios 7 JB. If a stable mac version happens to be released before the exploit is patched, great and I’ll JB it then. If not, then I’ll wait for a future JB. I’m not getting rid of my current JB in the hopes that Pangu will miraculously have a mac version of it’s JB tool in the near future. As much as the staff at Redmond Pie seem to love Pangu, their release has been nothing but a clusterf@#$. I’m just too tired of this cat-and-mouse game. Switching to Android after my 5S contract is over. PANGU INSTALLS THE WIRELURKER MALWARE!!! This has been proven. So this is why Pangu is so unstable. Stupid Chinese malware. What is WIRELURKER? I don’t need be an astrologer to say that you will regret your future! Except the Wirelurker doesn’t need jb on the phone or pads so why the trouble? And where’s the proof thank you? The main worry for me is that when 8.1 is jailbroken there is a massive impact on battery life. Pangu need to fix this ASAP and get the mac app sorted ASAP. Next time they should keep the JB under wraps until its fully tested. Get apps ready for windows and mac, test it some more, then some more. Then release. We don’t want no v0.1 in the future. Get it ready for v1.0 – then release it. ‘Well done’ and all that for the technical skills required to JB in the first place, but don’t go an ruin all the hard work!!! If i choose to install later manually to 8.1 will it be possible when 8.1.1 is out? @TeamPangu is a fake Twitter account. The real Twitter account of the Pangu team is @PanguTeam, as linked at the top of their website. most likely. you best do it sooner than later though. Have you checked to see if its on your device? So far have not seen it on my ipad mini or iphone 6 used ifile and eveything is ok. I went to an android from an iPhone 4. Had the gs4 than traded it for the 5 than back to a gs4 than to a Moto x than to an iPhone 5s and now the iPhone 6. I’m waiting for more stock on the nexus 6 to come around than I’m going to give my iPhone 6 to my gf and use the nexus 6 as a daily. I won’t go with any other carrier locked android phone, the nexus is the king of them all. When Apple releases 8.1.1 they will discontinue to sign 8.1, so no, you will not be able to install it. Everyone! I do believe the best of bestiphone սոⅼοсking service on the internet is just google atttiphoneuunloockiing. we are in a situation to սոⅼοсking phones which are usually damaged from other ՍΝᏞΟᏟΚing methods.